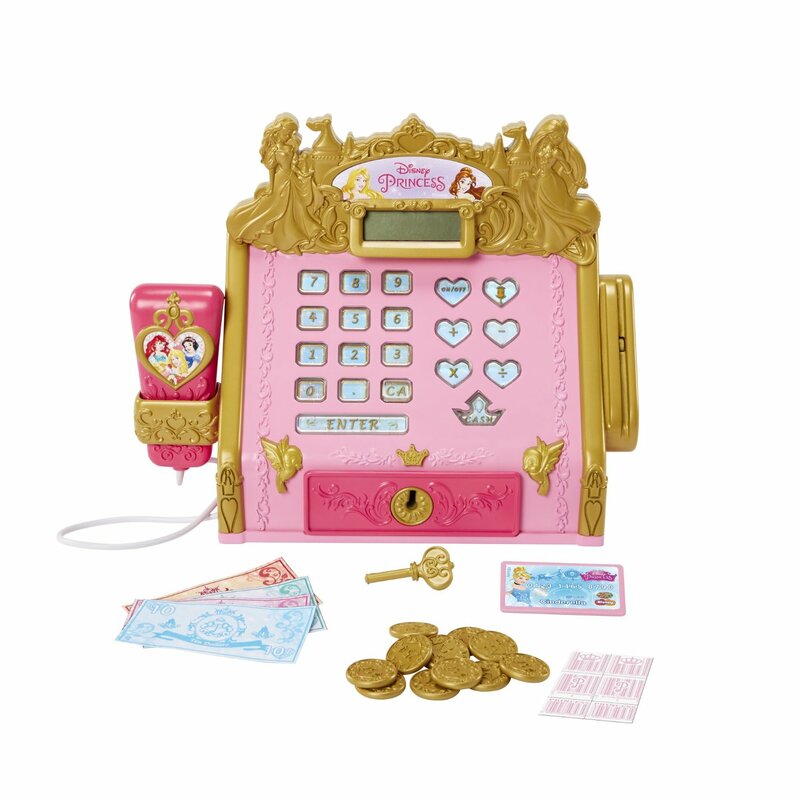 We loved this Disney Princess Royal Boutique Cash Register. It is ideal for imaginative play and also for little ones that are learning to count and understand money. We spent time playing shops which was always a game I enjoyed as a child and Eva loved pretending to scan the products and pack them away into a shopping bag. The scanner makes a sound as you press the button and she enjoyed scanning ‘her’ credit card and arranging the till. It has an LCD display which is great as you can see the number appear as you type them into the till. We spent a while talking about the different symbols and what they meant. You can lock the till which is of course very important when you are four years old and It was nice to see how seriously she took the whole role. In a world where a lot of electronic devices dominate, it was lovely to spend some quality time talking about how we shop, the importance of paying for things, where money comes from, change and how we count. Eva took great pleasure in making sure she gave the correct change and the till has remained by her bedside every night. I was really impressed with this toy and would certainly recommend it to other parents. Available to buy from all good retailers.